Philadelphia Medically supervised prescription weight loss program. 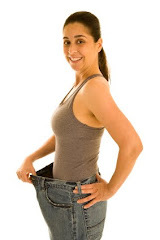 Diet Pills appetite suppressant medications and injection programs. with the Doctor's weight loss program." "I lost 21 lbs in 3.5 weeks!" "I went from a size 16 to 12"
The proper amount of calories you should be eating on a daily basis. How often you should be eating during the day. The proper times to eat throughout the day. The correct food combination of protein, fats and carbohydrates. Designed specifically for you to achieve the maximum fat loss. Personal program made especially for you at whatever your present fitness level is. 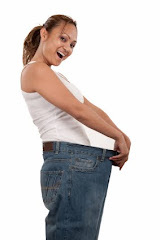 Your weight loss program starts with a detailed evaluation and consultation with our Doctors. Your past and present medical history. As well as medications that you are presently taking. You will establish a goal weight. The Doctor will recommend the most effective appetite suppressant medication for you. You will also receive a Vitamin B12 injection. A personally designed exercise program. Your blood pressure will be taken. Your exercise and food journals will be discussed. Any necessary medication adjustments will be made. As a weight loss specialist in Philadelphia I tell most of my patients that is absolutely necessary exercise in order to lose weight and burn fat. The problem is that in today's world everyone is going an active and either their work or taking care of family responsibilities. So with this in mind I have developed a mega super fat burning exercise routine that only takes about 10 min. to do. But I have to warn you that this is an extremely high intensity exercise program and if you have never exercised this is not the routine that you want to start out with. You have to be somewhat physically fit and have decent cardiovascular health in order to perform this routine. And of course do not perform this or any other exercise routine without first consulting your doctor. So if you are just starting out please read one of my beginner weight loss exercise routine programs that are in other articles on this website. So after all of that being said here we go! First you need a stopwatch. You are going to be performing 10 different exercises for of total of 1 min. per exercise. This means that you are going to do one exercise for 1 min. take a 15 to 20 second break and then perform the next exercise for 1 min. Push-Ups: this is your plain ordinary version of push-ups so I am not going to get into any type of detail here on how to form a proper push-up. You are going to perform as many push-ups as you possibly can in 1 min. then take a 10 to 20 second break and move onto exercise number two. Bench or Step Jumps: for this exercise you are simply going to stand in front of a staircase or in front of a bench and you are going to jump up onto the steps or bench with both feet pushing off at the same time and of course landing at the same time. You will do as many as you can for 1 min. take a break and move onto exercise number three. Chair or Bench Dips: for this exercise you are going to put your back towards a chair or bench and placed your palms on the edge of the chair or bench while you are extending your legs out forward. Now lower your buttocks towards the floor and then push yourself up this is going to really work your triceps muscles. Do as many as you can for 60 seconds then take a rest move onto exercise number four. Cross Knee Planks: just go into the normal plank position and bring one knee towards the opposite elbow and then push it down into your original starting position and then bring the other the up towards the opposite elbow and then push it down to the floor into the original starting position. Again do this as many times as you possibly can for 60 seconds take a break and then move on to exercise number five. Lunges: ok we all know how to do a lunch so perform as many as you can in 60 seconds then take a break and move on to exercise number six. Burpbees: hopefully you know how to perform a Burpee. Do as many as you can in 1 min. take a rest break and then move onto exercise number seven. Supine Straight Leg Raises: for this exercise you are going to lie flat on your back on the floor. Slowly raise both legs at the same time, while trying to keep them straight were only slightly bent, up into the air to a 90° angle. Do as many as you can for 60 seconds then take a break and move on to exercise number eight. Rose and the Push-Up Position: for this exercise you will need a pair of square shaped dumbbells. Assume the push-up position with the dumbbells in each hand and slowly balance yourself on one arm while you are rowing the opposite dumbbell up. Lower the dumbbells and repeat with the opposite arm. Again you're going to perform as many repetitions as you can with each arm for 1 min. take a break and move on to exercise number nine. Elbow and Knee Shoulder Press Combo: for this exercise you will require a pair of dumbbells. Start in the standing position with the dumbbells up by your shoulders now you're just going to squat down maintaining the dumbbells up by your shoulders and while you are squatting you want to your elbows to your knees and then stand up and press the dumbbells upward like you would in doing a normal shoulder press. Do you as many as you can in 1 min. take a break and then go on to exercise number ten. Dumbbell Curls: for this exercise you are just going to perform curls with a dumbbell lifting both arms at the same time. Perform as many repetitions as you can or 1 min. then take a shower and go to sleep as you are probably totally exhausted from this routine. Now, I am only joking but you should certainly feel that you have just finished super high intensity exercise routine. The great thing about this exercise routine is that you are getting the benefits of cardiovascular training and resistance training at the same time. 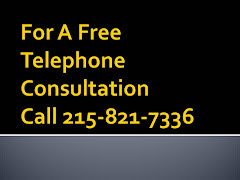 If you would like one on one personal help with your weight loss call us at 215-821-7336.